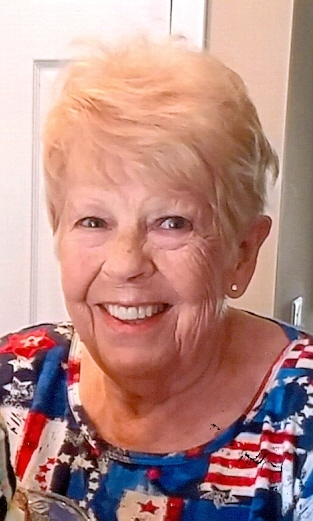 Margie "Betsy" Patrick Clark, 82, of the Kansas City Northland, entered Heaven on November 10, 2018. Margie was born on June 19, 1936, in Salyersville, KY to Elisha and Lona (Montgomery) Patrick. Margie LOVED people. Her longtime best friend is Shirley May of Vanlue, OH. Margie was homecoming queen, played trumpet in the band and was class president at Vanlue High School. Margie loved the Ohio State Buckeyes! She retired from Concerta Preferred Systems in Bentonville, AR, and worked for Park Hill School District. She was also a hairdresser in the home many years. She enjoyed water aerobics, crocheting, puzzles and Hallmark movies. Her favorite song is "Open the Eyes of My Heart". Margie was married 50 years to Robert W. Clark, who graduated to Heaven in 2010. She is also reunited to her first love, John Rohmig of Findlay, OH. Margie leaves behind her biological daughter, Angelyn "Angel" Lollar (Dennis); son, Robert Scott Clark; and daughter, Kristie Clark. She leaves her grandchildren, Clifton Lollar (Kristina), Heather Lollar, David Hotelling, Misty Farrell, Tammy Murwin and Brandi Arbogast; great grandchildren, Tiffany and Nathaniel Lollar. Margie also leaves three sisters and a brother from the Ohio and Michigan areas. Along with her mom, dad, Bob and John, Margie was preceded in death by a daughter, Cindy Yates; and a younger sister. A special thank you to the staffs at Pleasant Valley Manor and Village Hospice for your love and support. In lieu of flowers, memorials are suggested to one of these entities or the charity of your choice. Visitation will begin at 10:00 am, followed by a service celebrating Margie's life at 11:00 am, on Wednesday, November 14, at Park Lawn Northland Chapel, I-35 at State Route 291, Liberty. Burial will follow at Hillcrest Cemetery, Excelsior Springs, MO. Visitation will begin at 10:00 am, followed by a service celebrating Margie’s life at 11:00 am, on Wednesday, November 14, at Park Lawn Northland Chapel, I-35 at State Route 291, Liberty. Burial will follow at Hillcrest Cemetery, Excelsior Springs, MO. Your going to be missed by many! I know I will miss our nightly walks down the hall and that beautiful smile! Love you lady fly high! I know her by Betsy and worked with her for many years until she retired. Betsy was one of the nicest people I've ever known and very kind. Heaven has gained a wonderful angel. I was totally shocked to read this. Rest in peace, dear cousin. God bless you and all your family. Esther and Ronnie I am so sorry for your loss. I enjoyed chatting with Betsy on Facebook almost daily. Prayers for the family. I only knew you a short while but you had a very positive impact on my life. You were always so happy. I will miss you very much but think of often, especially when I go into your room. I know you are at peace and in a better place and look forward to seeing you again. I love you and miss you. Love you grandma we all will miss you!! Mom, I cannot say goodbye. So I say, "see you later." No words .... thank you for loving, giving, sharing, hugging... I cherish each time you placed your hand on my face. The song I Can Only Imagine really comes to life now. I wonder what you did the first time you saw Jesus!? Love you forever. See you soon... and very soon we will all be coming home! You were a joy to know and we always shared a welcoming hug. You were true to yourself and I appreciate our many talks. Thank you for always being sweet. I will miss you lady. I will always have fond memories of you, Aunt Marge! Love and miss you until we meet again!